One of the most unique settings in all Ontario! 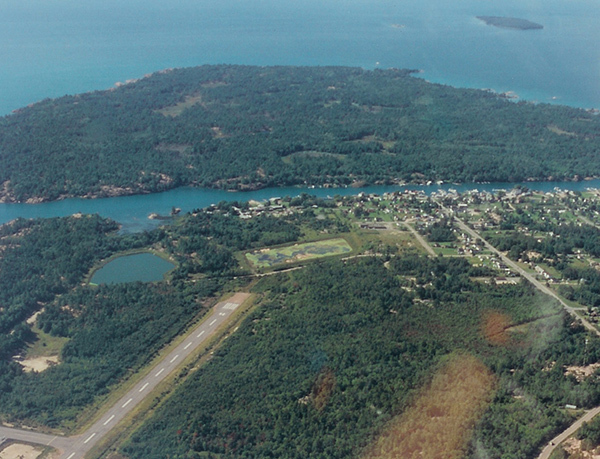 The approach from the air is stunning, with the tropical blue waters of Lake Huron to the south, and the white quartzite mountains of the Killarney region to the north. 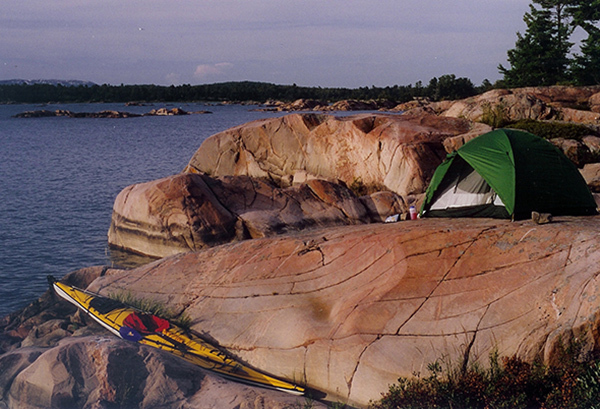 Killarney offers TWO adventure options, either canoeing the inland lakes of Killarney Provincial Park, or kayaking Georgian Bay in Lake Huron. 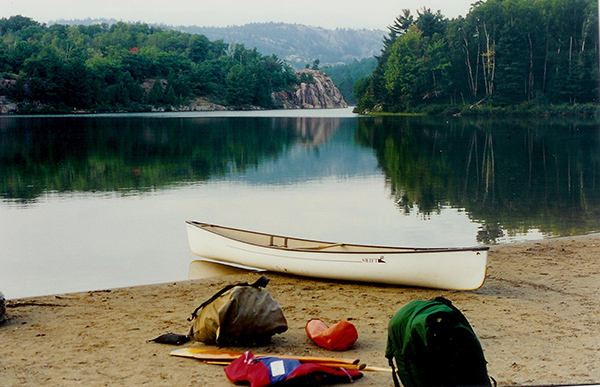 Both offer some of the best paddling in Ontario, and are less than 20 minutes from the airstrip. The crystal clear waters of Georgian Bay is a kayakers dream. One can paddle for weeks and only brush this remote wilderness. Hundreds of islands provide ample wind-breaks and numerous camping opportunities. 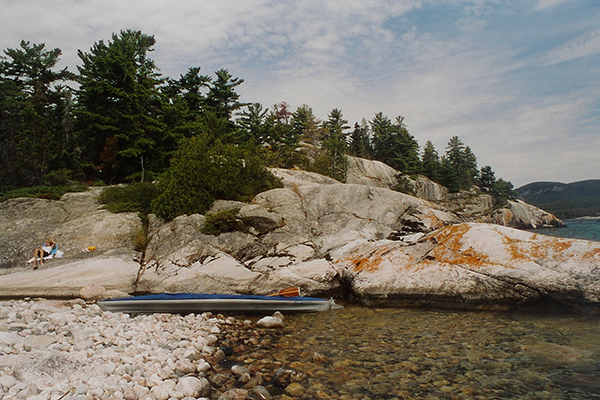 Inland, the lakes of Killarney Provincial Park are nestled between impressive quartzite mountains, giving the region a uniquely rugged topographic relief. 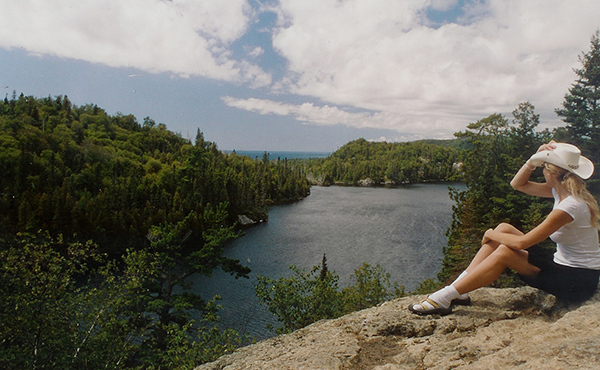 The mountains, combined with typical Canadian shield rock ledges and cliffs, offer panoramic vista opportunities and many scenic campsite options. Be prepared to portage! 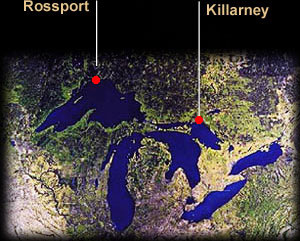 Most of the Killarney lakes are landlocked, and the portages can be strenuous. Hence, it's unlikely that you'll see many people during your trip. Killarney Mountain Lodge is a great place to stay before, and after your excursion. They also offer airport pick-up and complete outfitting services. 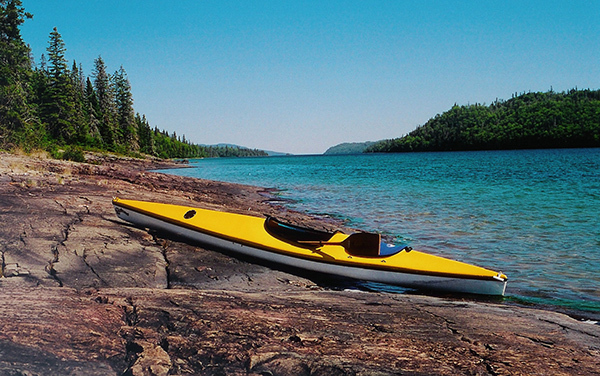 On the north shore of Lake Superior, the small community of ROSSPORT is the launching point for sea-kayaking adventures through hundreds of miles of undeveloped islands and rocky Lake Superior shoreline. Inland, hiking trails in mountainous terrain pass by waterfalls, scenic vistas, and rivers rushing south into Lake Superior. This shore of Lake Superior is seldom visited. There are no large towns and only one major highway. In Rossport, the intimate and historic Rossport Lodge is the best accommodation in town, and is a excellent place to treat yourself to a post-trip meal, and comfortable bed. 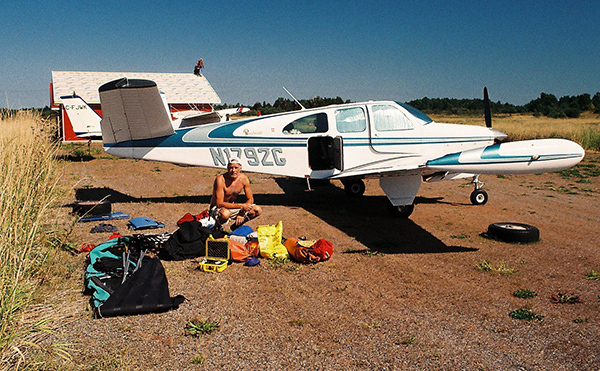 Sheila and Ned, congenial the owners, provide transportation to and from the small airport in, about 20 minutes away. They also have kayaks for rent. Ned is a retired Air Force jet fighter pilot. 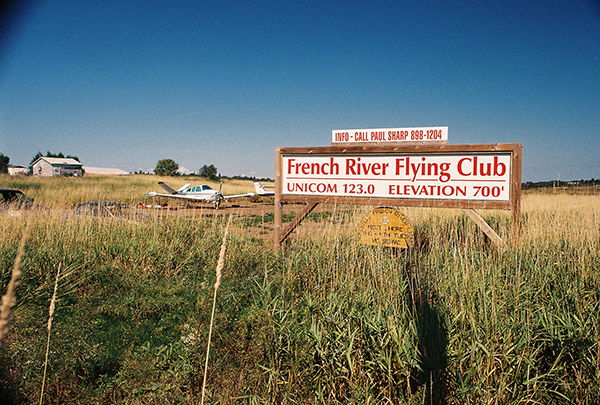 Flying here is best done between mid-July and late September. Before mid-July, thick fogs can blanket the north shore for days. After late September, it can snow. WAWA is a magnificent destination on Lake Superior's east shore, which is, in my opinion, Superior's most beautiful and rugged region. The airstrip at WaWa is paved, long and wide. Within an hour's drive, one can be immersed in remote sea-kayaking, hiking, or canoeing adventures. The topography along this shore is particularly hilly. At 55 degrees north latitude, La Ronge in the northern gateway to some of Canada's most remote and "big water" canoeing. Flying here requires hours of air time over vast stretches of lake and forest wilderness, in air space where no communication with air traffic control is possible. Once here, canoeists can literally paddle for months without seeing another person. Thousands of miles of waterways are interconnected, and portaging is minimal. In summer, sunlight is available for nearly 19 hours. This is the region where the chapter entitled Possessed took place, in my book, Nothing Routine.